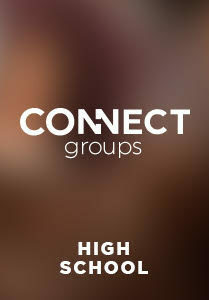 Our connect groups offer high school students a place to ask relevant questions about how God connects to every aspect of their lives. Our mission is to provide an environment where students build relationships with God, leaders, and other students. This group meets every Sunday morning from 10:00-11:00am in room 224. This group meets every Monday afternoon from 3:30pm-5:00pm at the Dunedin Starbucks. Grab a friend and a cup of coffee as we explore our faith with one another. This group meets every Wednesday night from 7:00pm-8:30pm at the Downtown Safety Harbor Starbucks. Grab a friend and a cup of coffee as we explore our faith with one another. This group meets every Wednesday night from 7:00pm-8:30pm at the Palm Harbor Starbucks. Grab a friend and a cup of coffee as we explore our faith with one another. This group meets every Wednesday night from 7:00pm-8:30pm at the Countryside Starbucks. Grab a friend and a cup of coffee as we explore our faith with one another. This group meets every Wednesday night from 7:00pm-8:30pm at the Ridgemoore Starbucks. Grab a friend and a cup of coffee as we explore our faith with one another. This group meets every Tuesday night from 7:00pm-8:30pm at the Countryside Starbucks. Grab a friend and a cup of coffee as we explore our faith with one another. This group meets every Tuesday night from 7:00pm-8:30pm at the Ridgemoore Starbucks. Grab a friend and a cup of coffee as we explore our faith with one another.